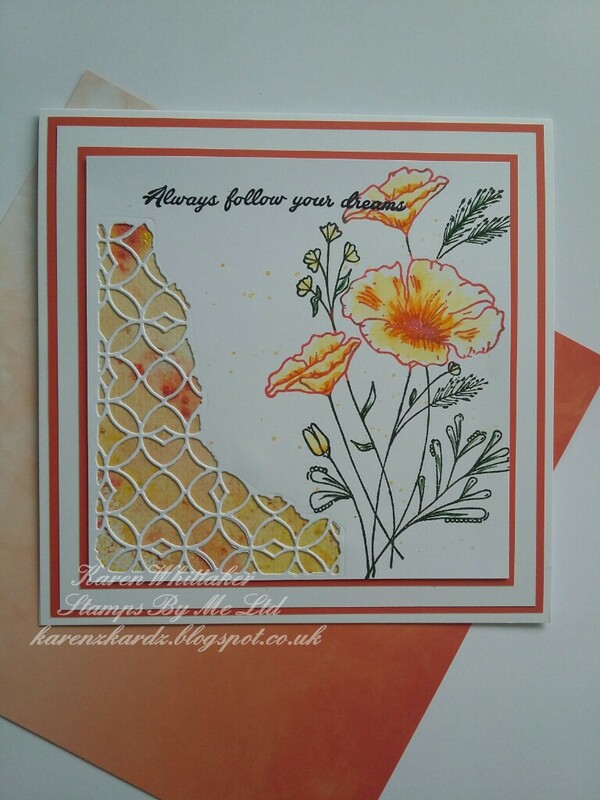 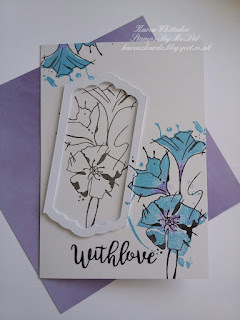 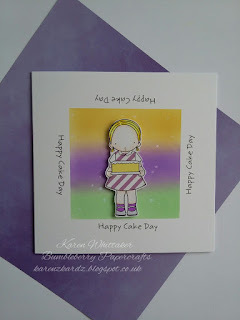 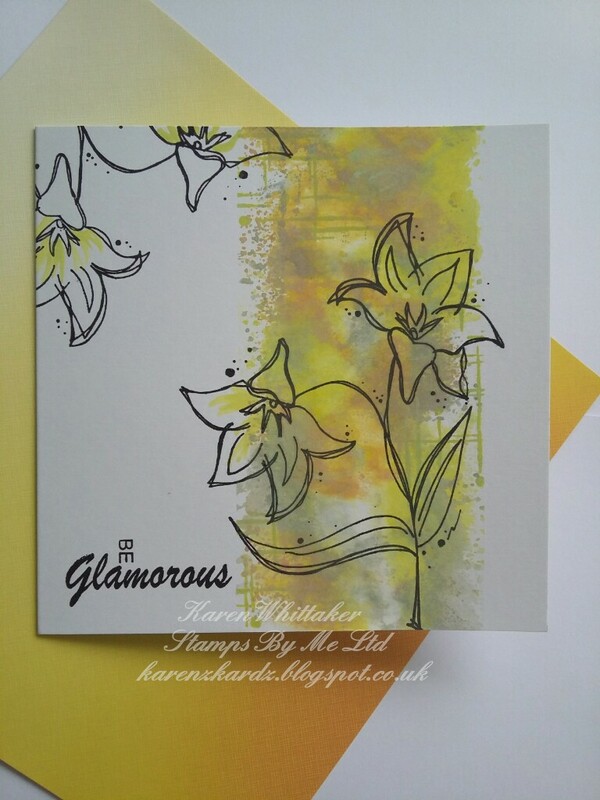 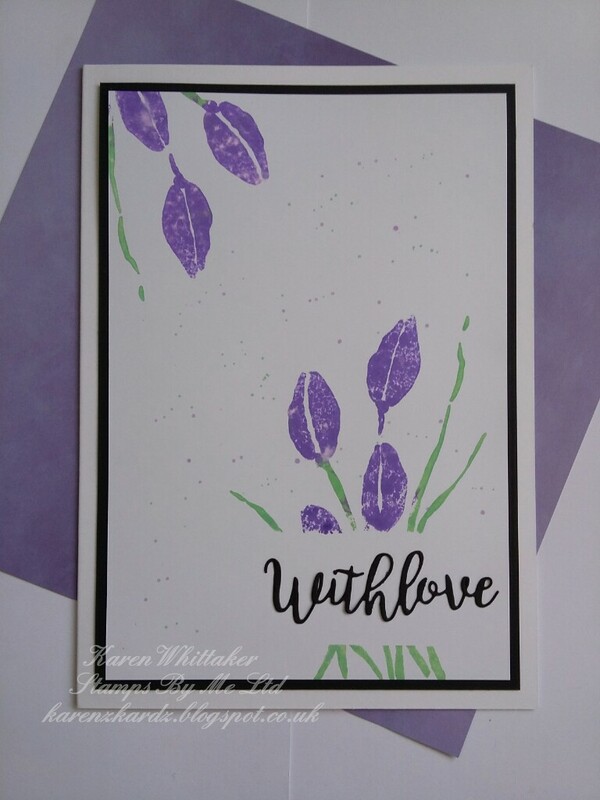 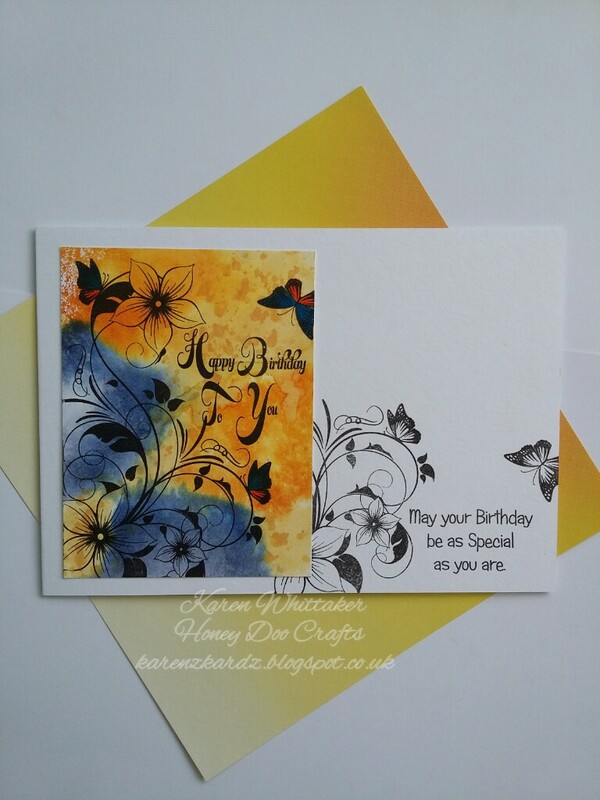 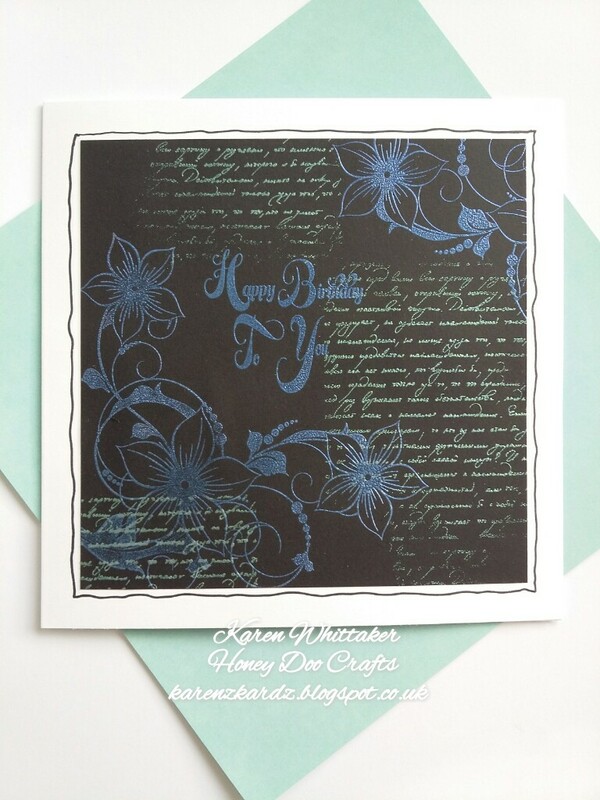 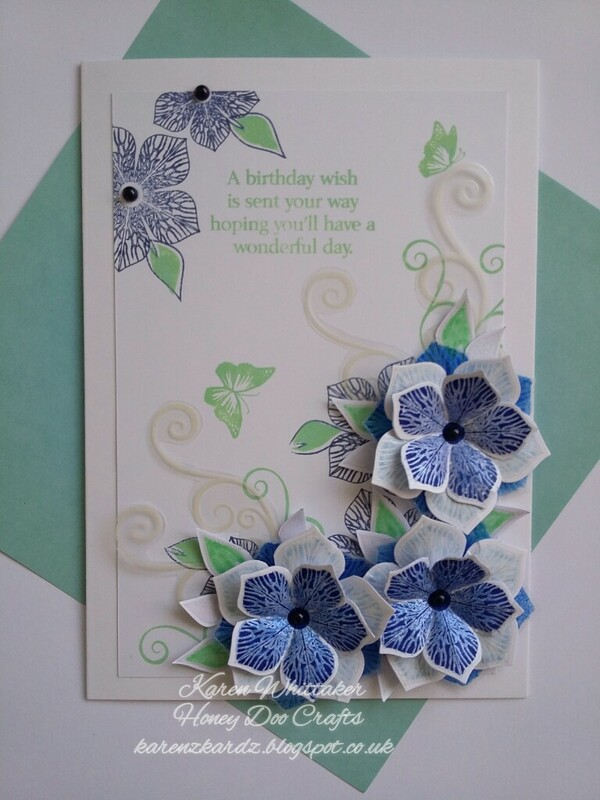 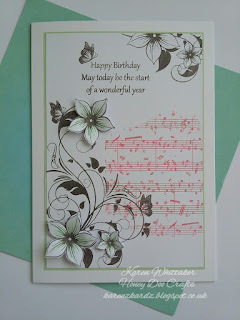 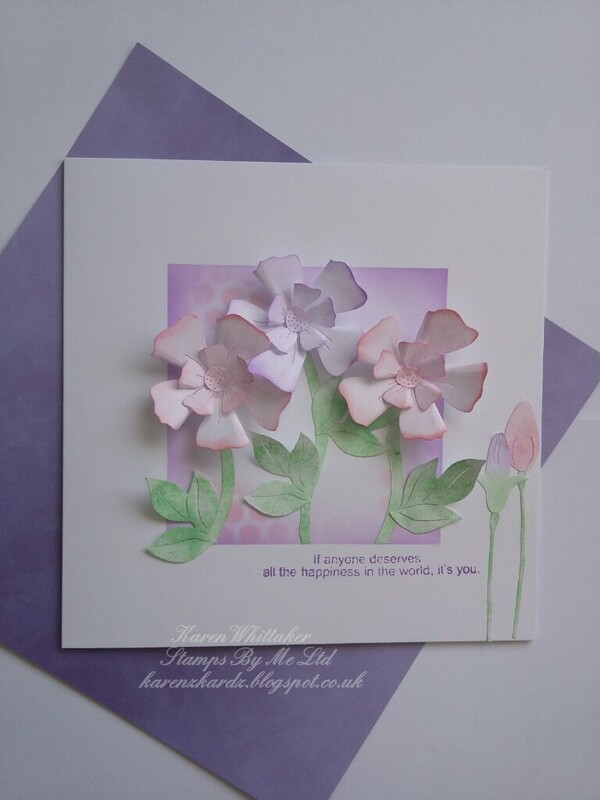 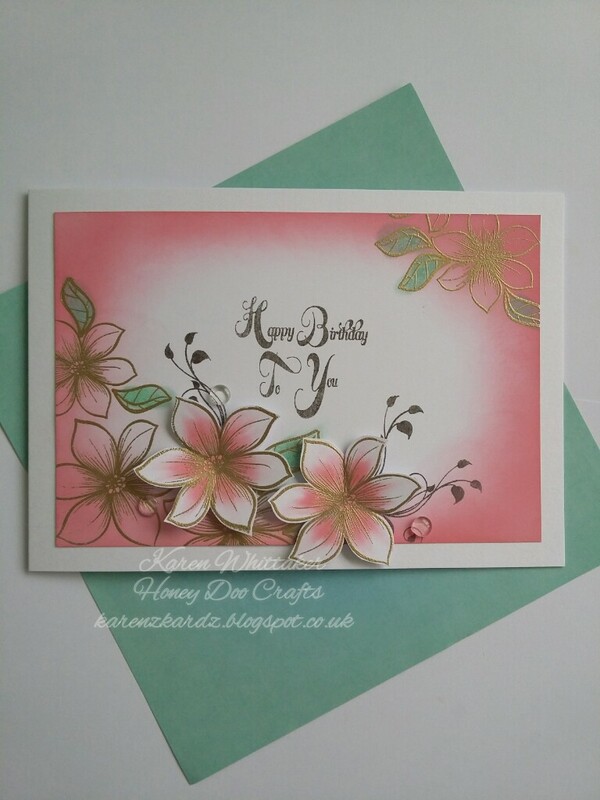 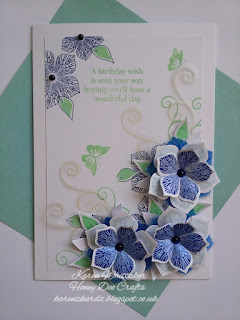 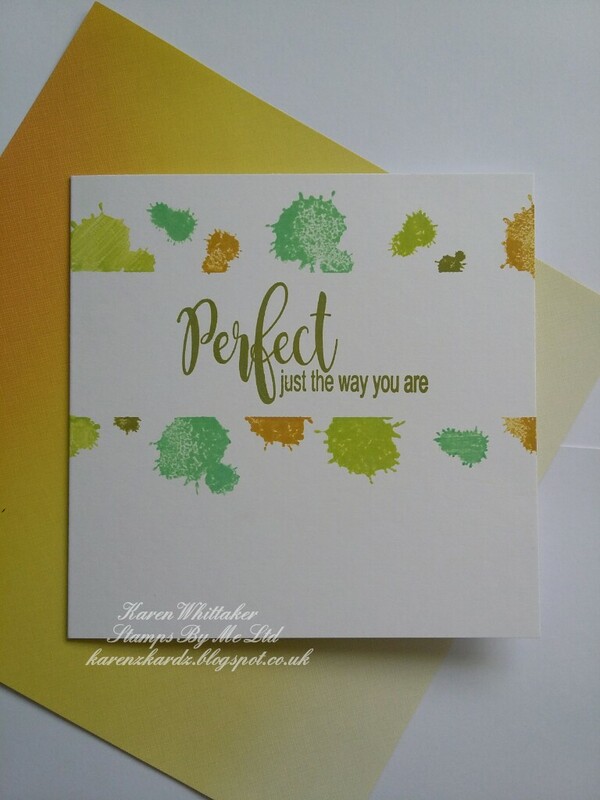 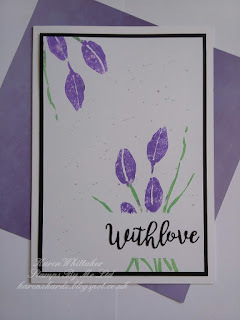 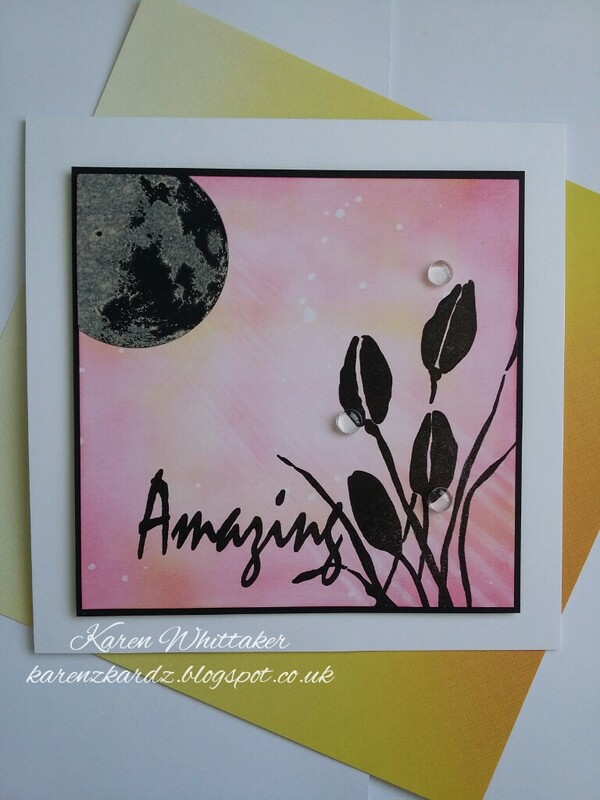 Another quick but beautiful card to make. 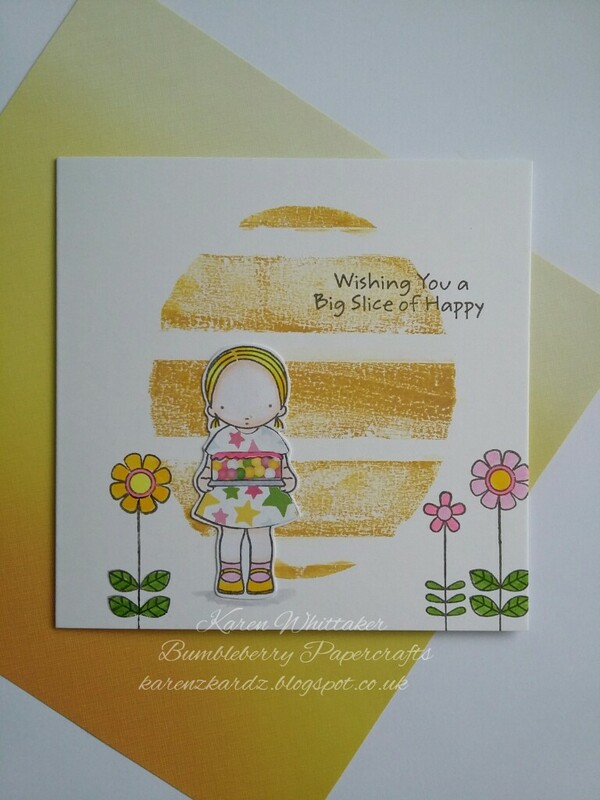 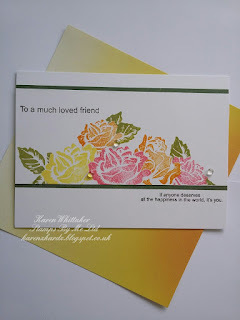 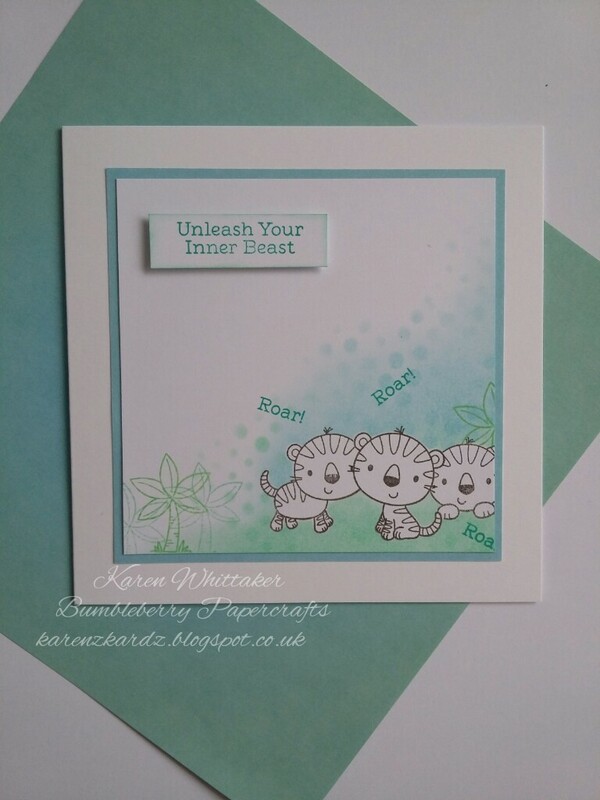 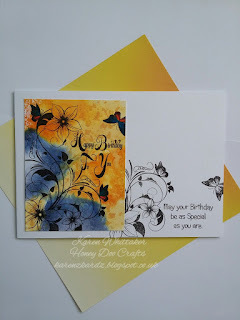 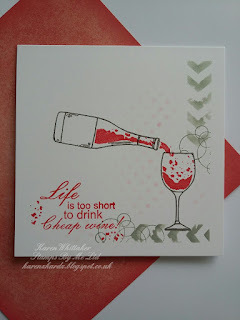 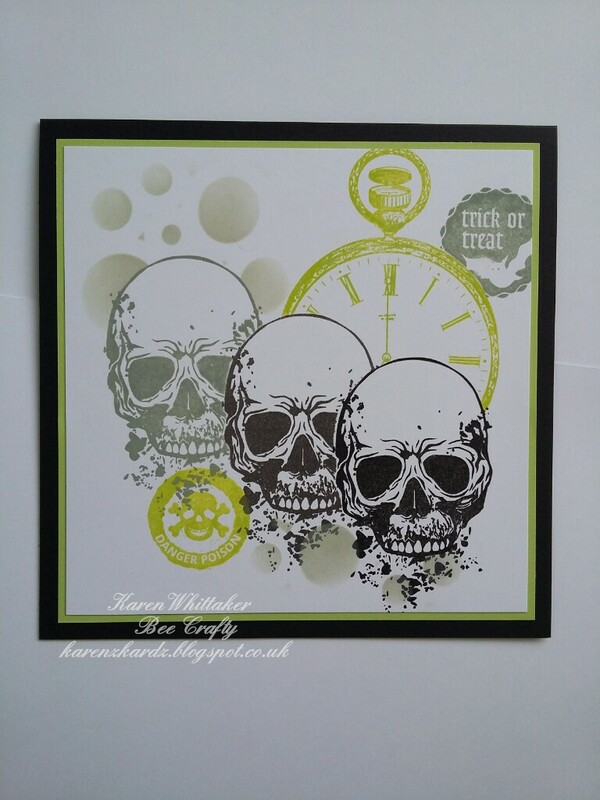 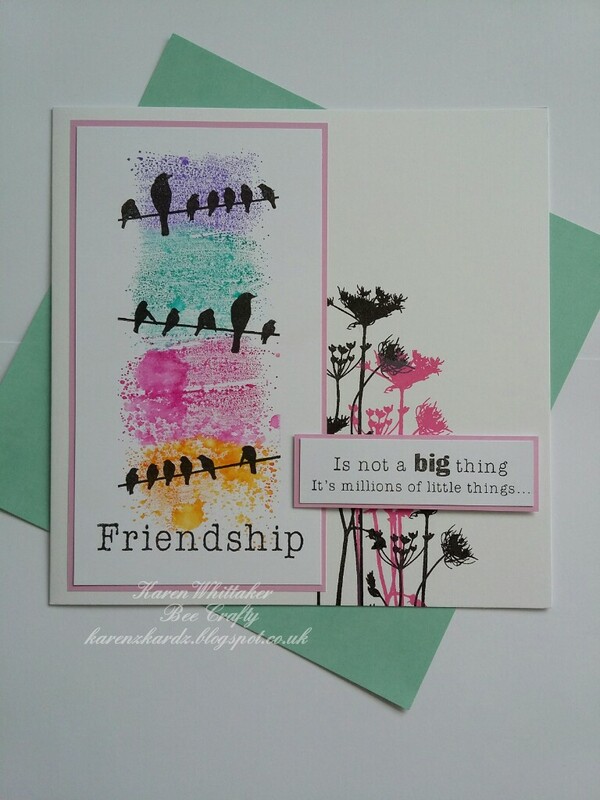 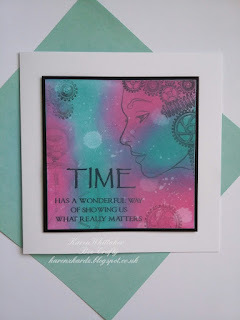 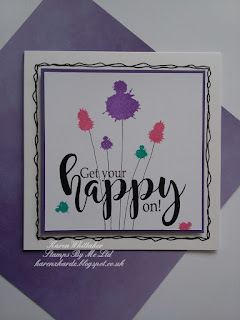 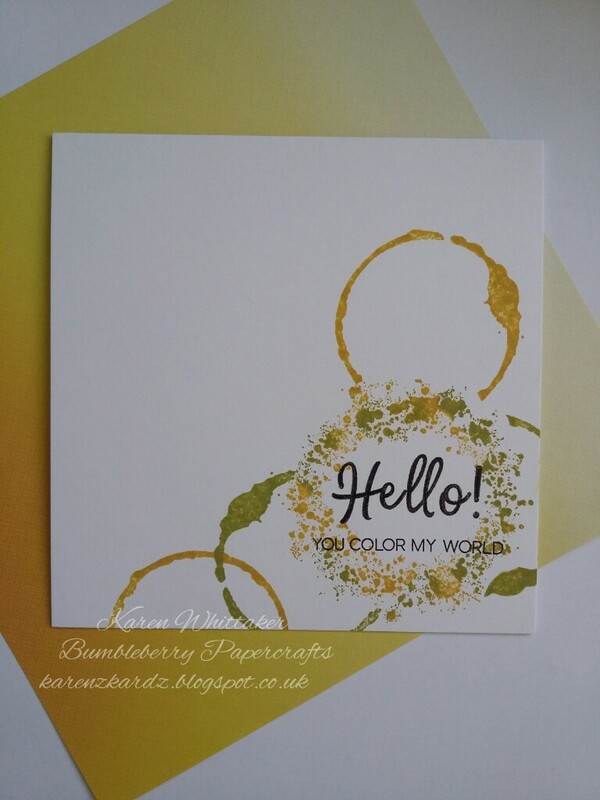 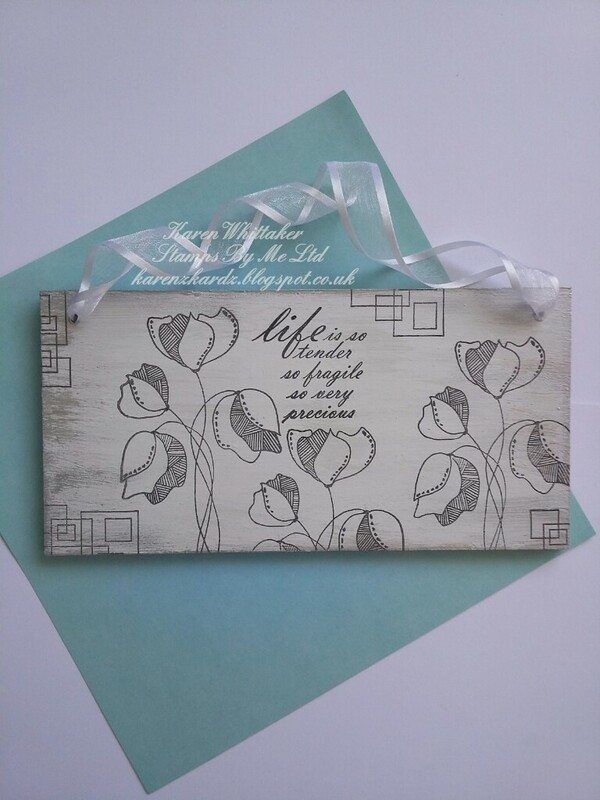 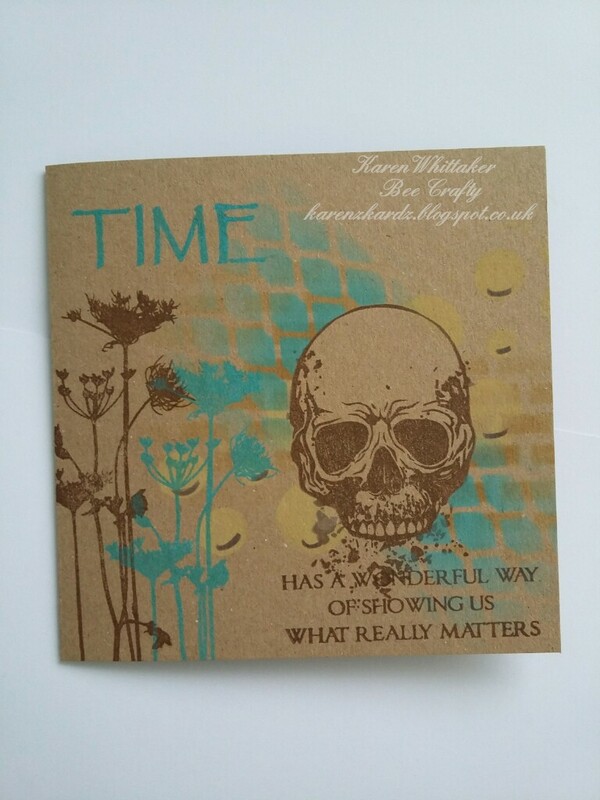 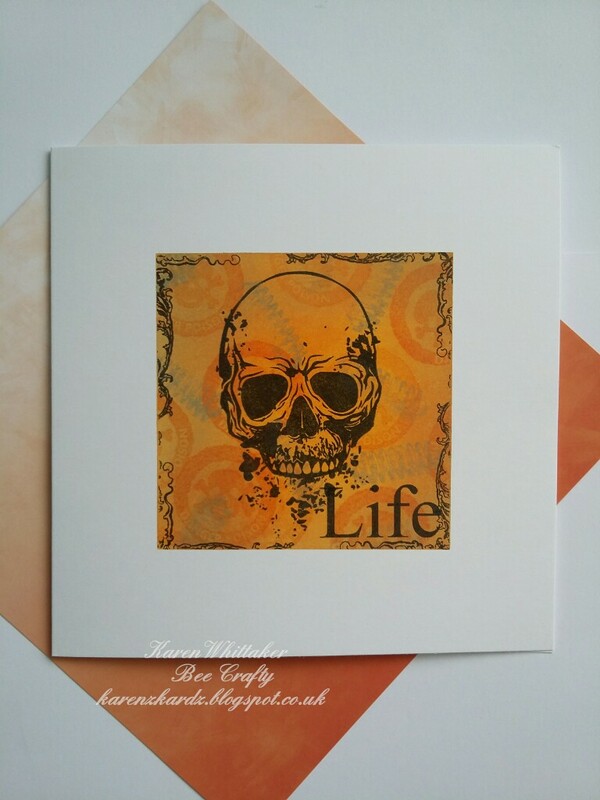 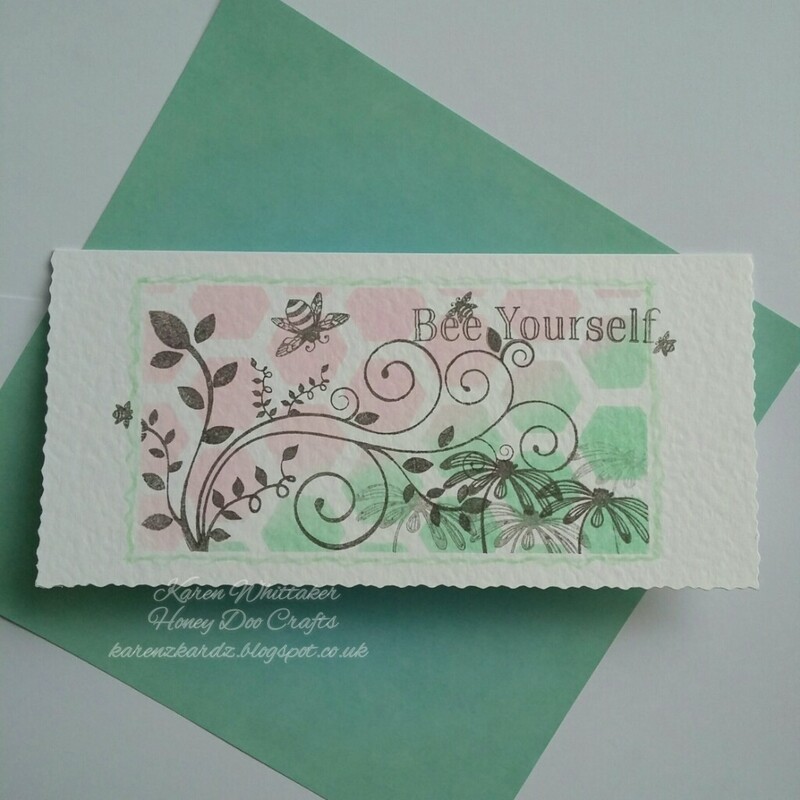 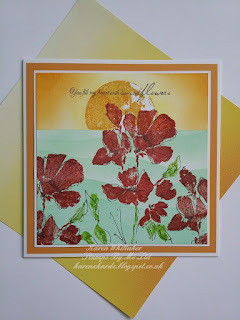 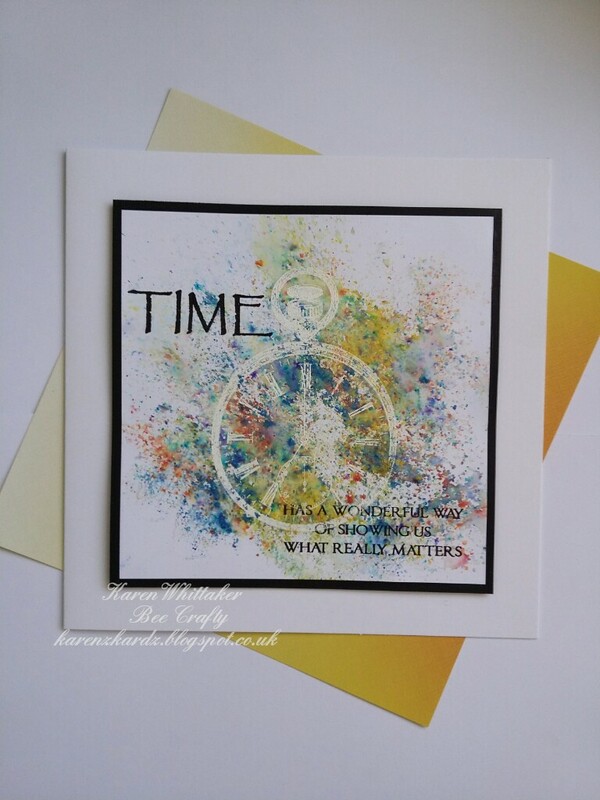 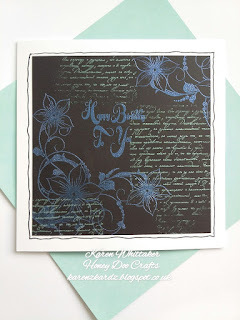 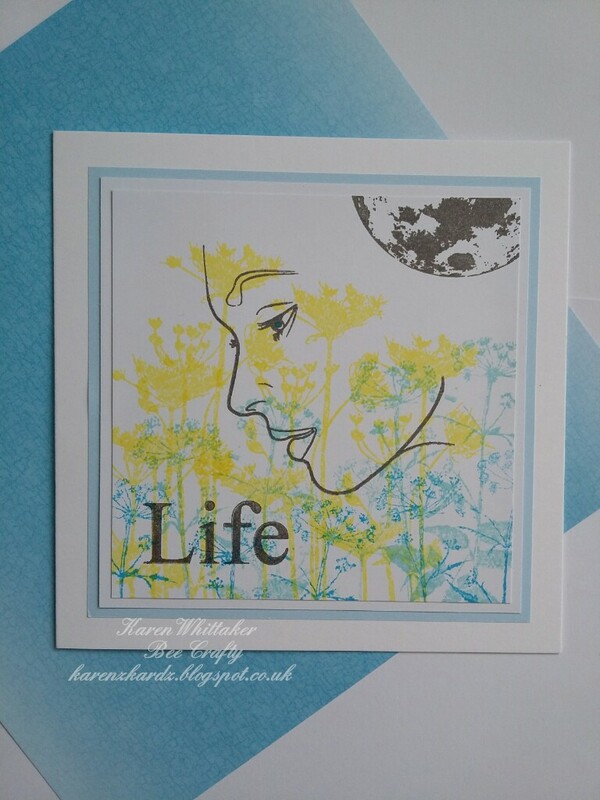 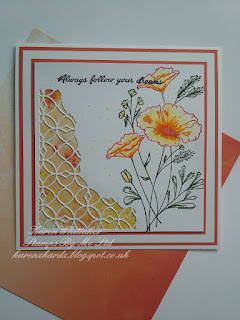 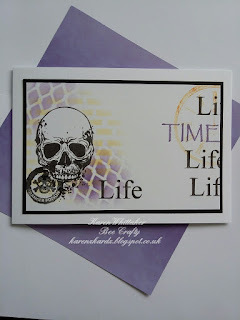 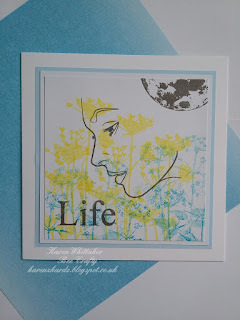 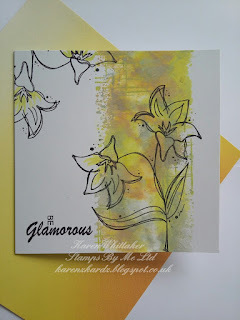 Today I'm sharing my card samples made for the new products being showcased tomorrow on Hochanda. 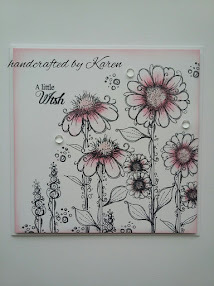 So here's a seek peek just for you!! 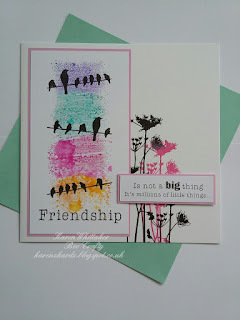 How much do you love these stamps. 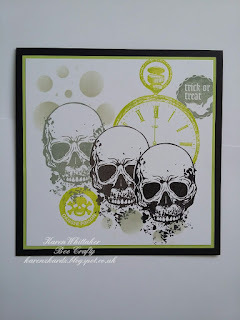 ..I love a bit of the "dark" side lol. 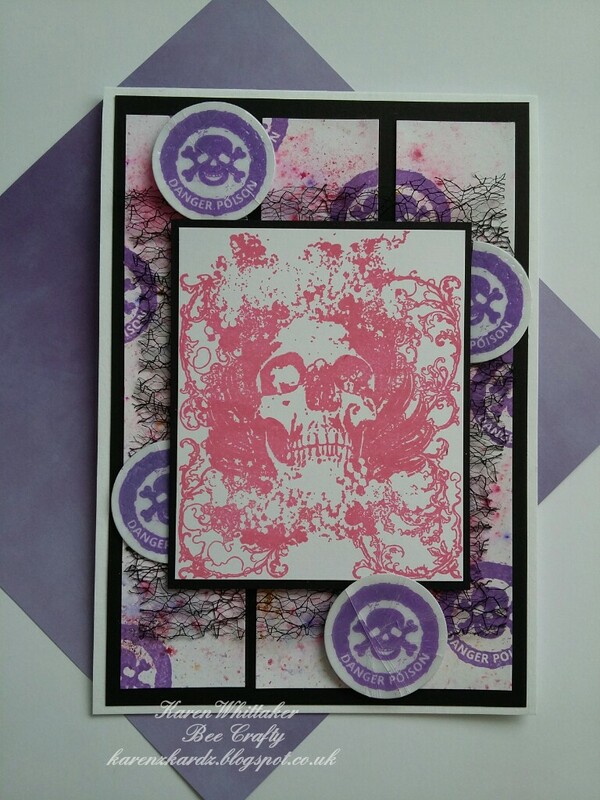 Pocket Watch and Danger Poison were stamped in Twisted Citron DI. 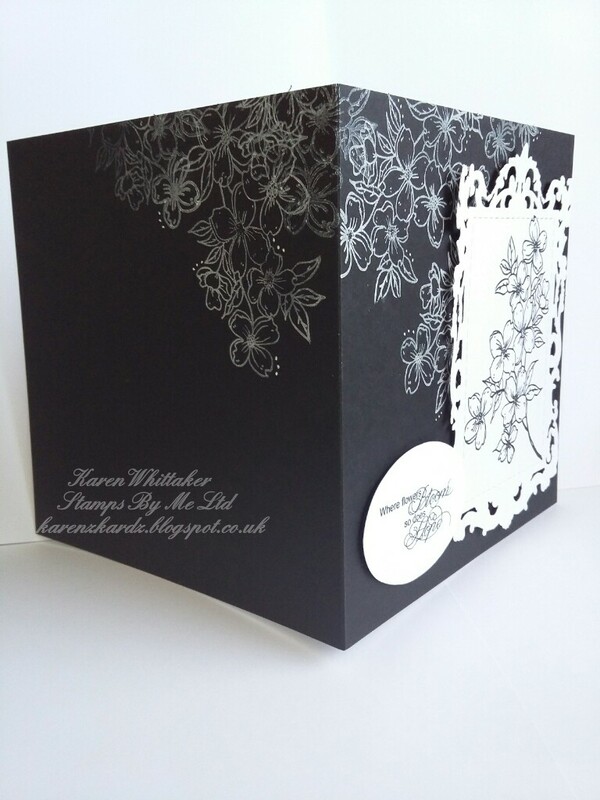 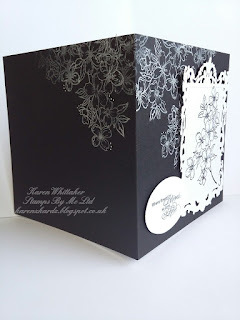 Cut smaller square of black card and slightly smaller square of white card. 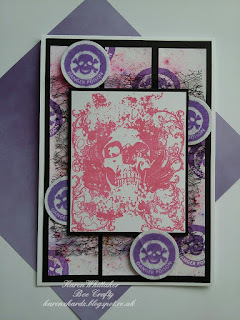 Cut another piece of black card and a slightly smaller piece of white card, and stamp the skull background in Picked Raspberry DO. 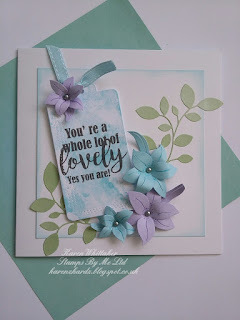 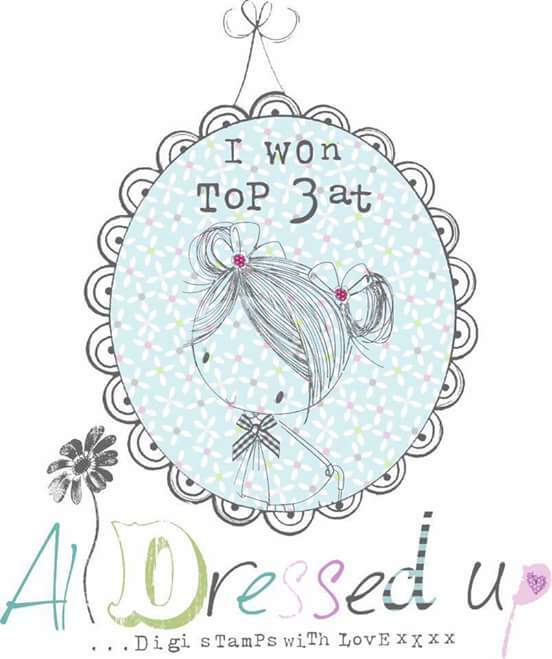 Thankyou very much for stopping by to take a look. 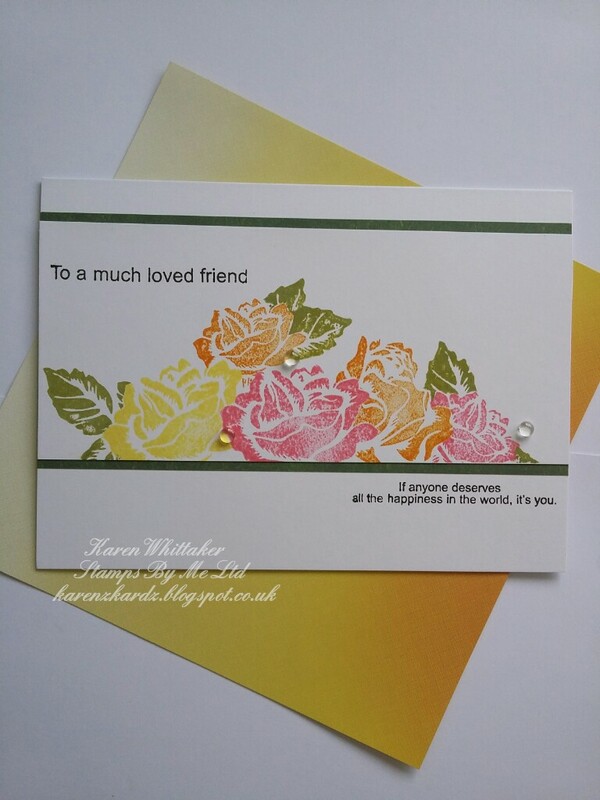 Hope you're well and have had a good day. 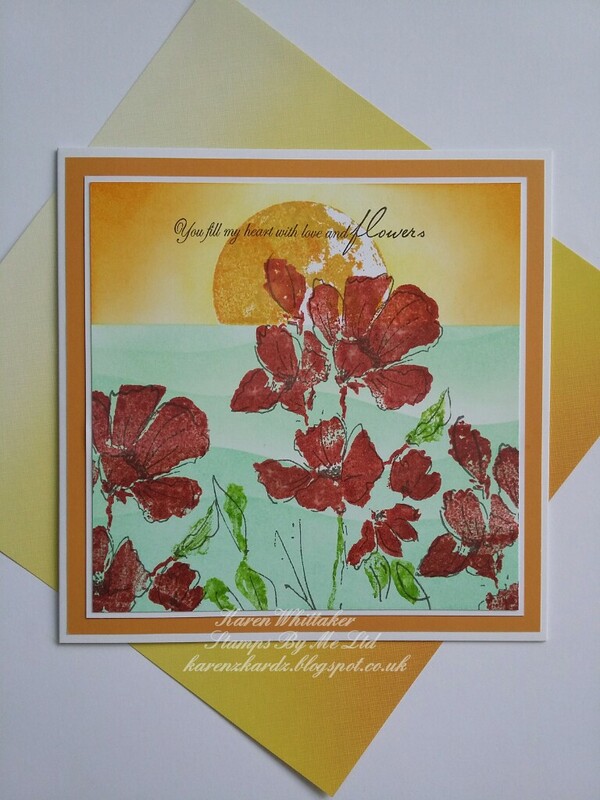 Hope you are all enjoying the sunshine..such a beautiful day. 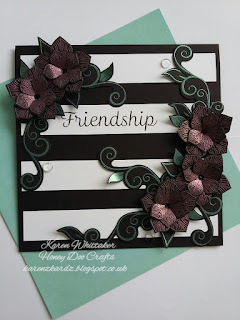 How are you all? 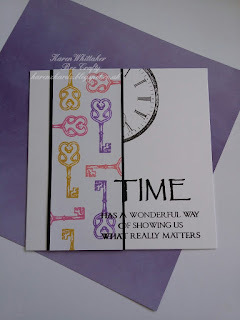 Anything exciting planned for rest of today? 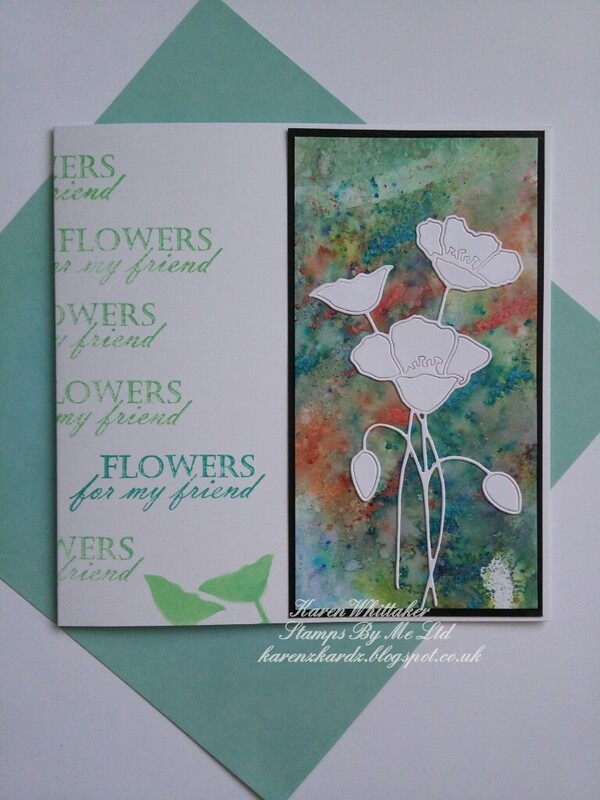 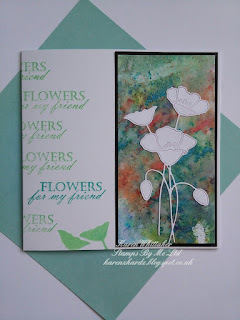 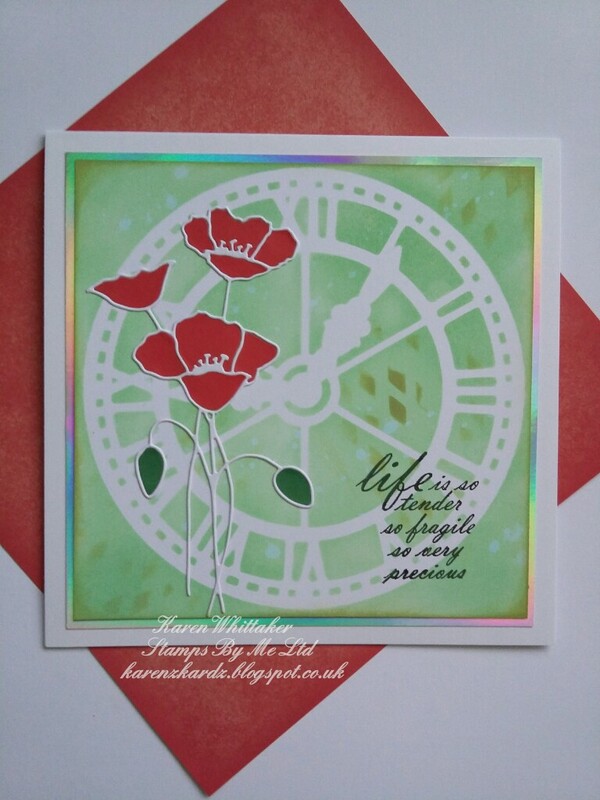 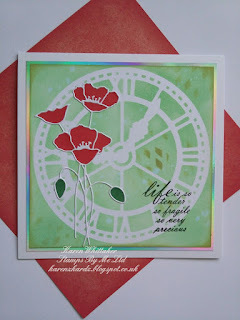 On a seperate piece of card I stamped it again, coloured in the flowers with the Green Shadow pen, then cut them out. 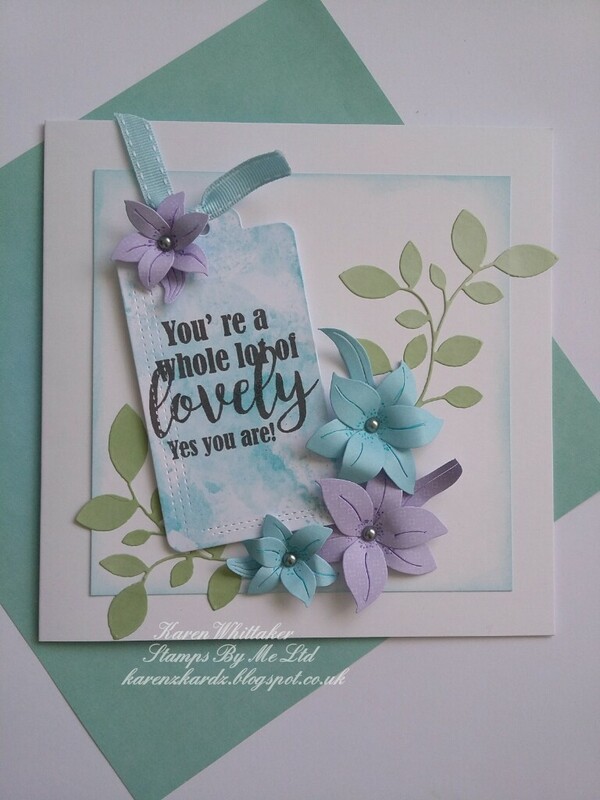 I hope you like this week's sample showcasing these beautiful products. 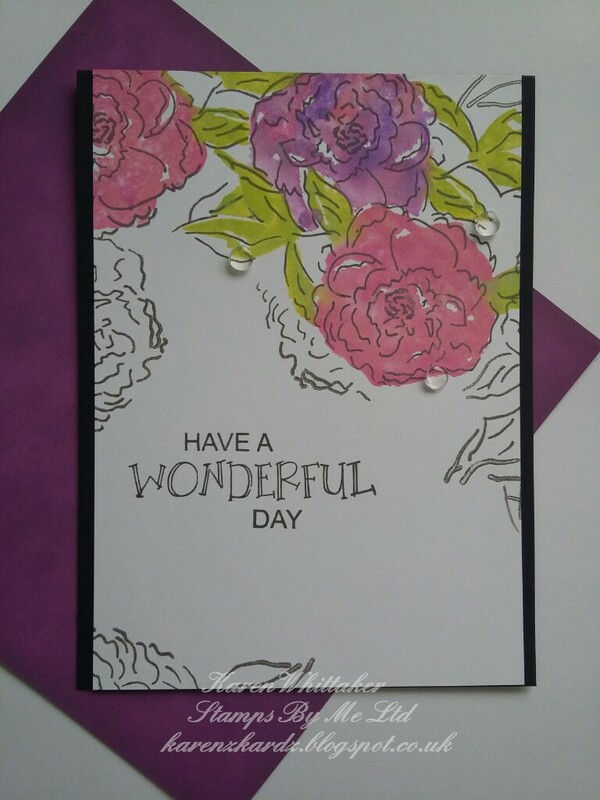 How's your day looking. 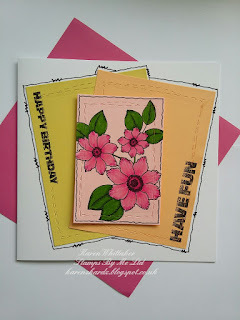 .anything planned? 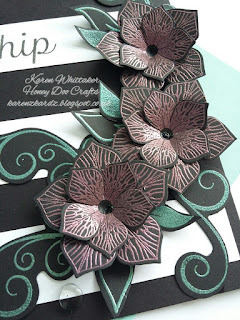 These were then cut out using the die, shaped and assembled to create 3 3d flowers. 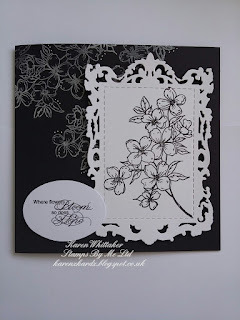 Using these as a rough guide, stamp more flowers, in the Chipped Sapphire DI, on the white card, so they will sit behind the 3d flowers. 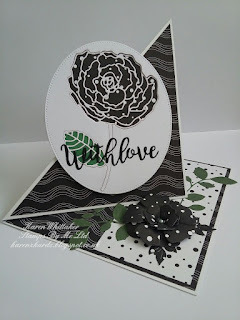 Also stamp a couple coming down from the top of the white card. 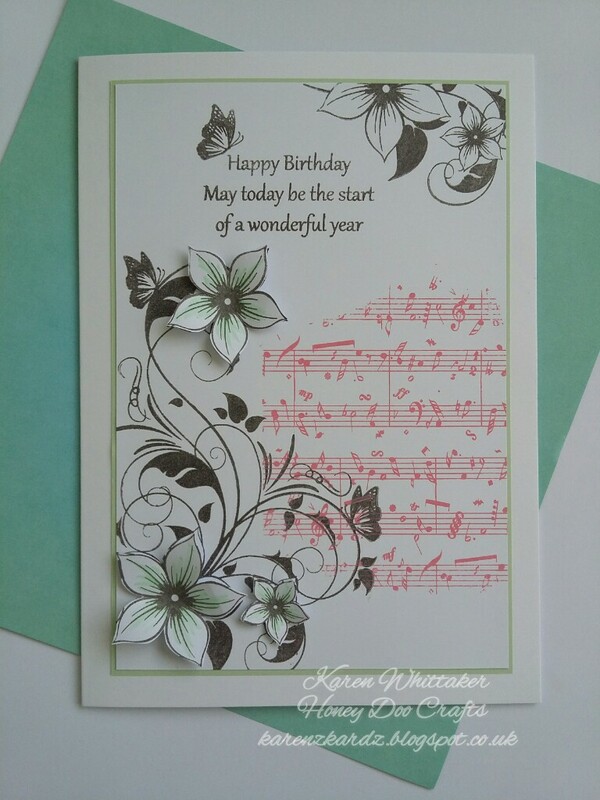 Leaves and swirls are stamped in the Cracked Pistachio. Cut the rose die out of one of the ovals. On the reverse of the cut out out oval adhere some monochromatic paper where the flower head goes and some green paper where the leaves are. 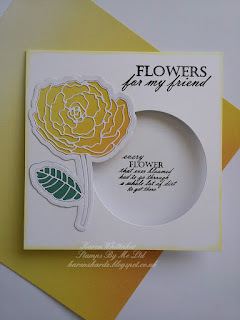 Adhere the cut out rose back into the oval. 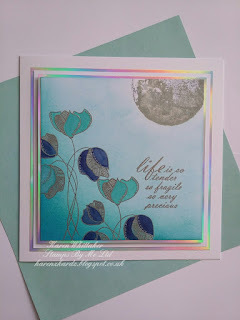 Adhere the second oval die cut on the reverse of the first, to cover all the "workings"
I love the effect of these beautiful stamps together..I hope you do too. 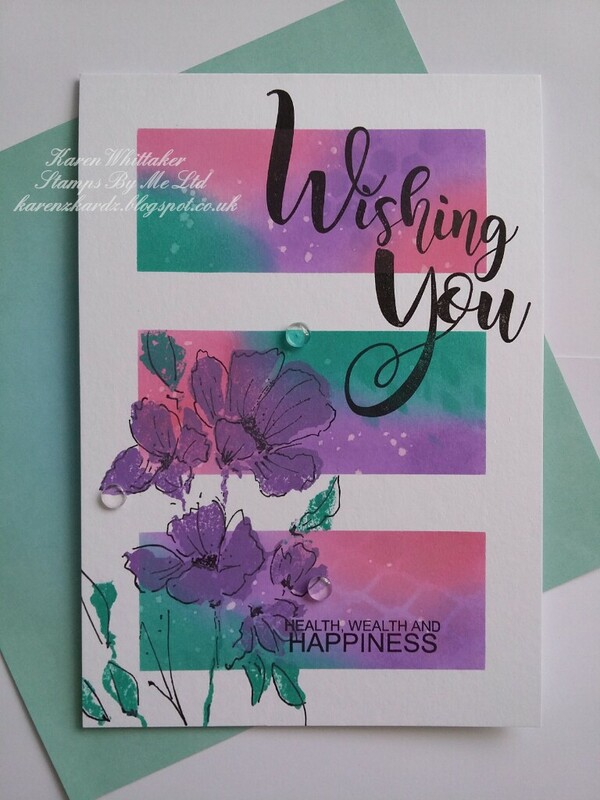 Hope you all had a wonderful weekend. Another weekend is upon us. 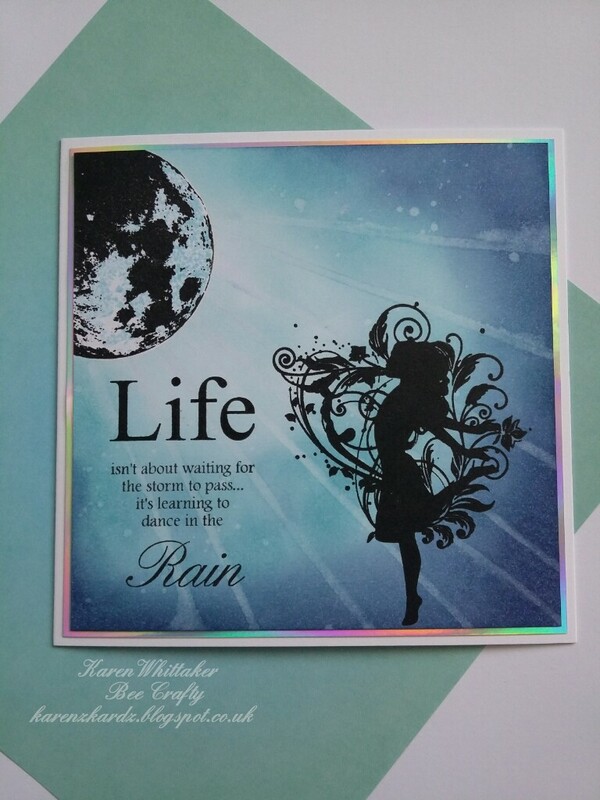 What do you have planned? 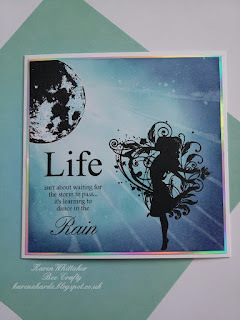 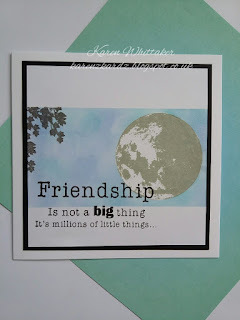 I stamped a moon stamp I have, in black onyx versafine ink then masked it off. 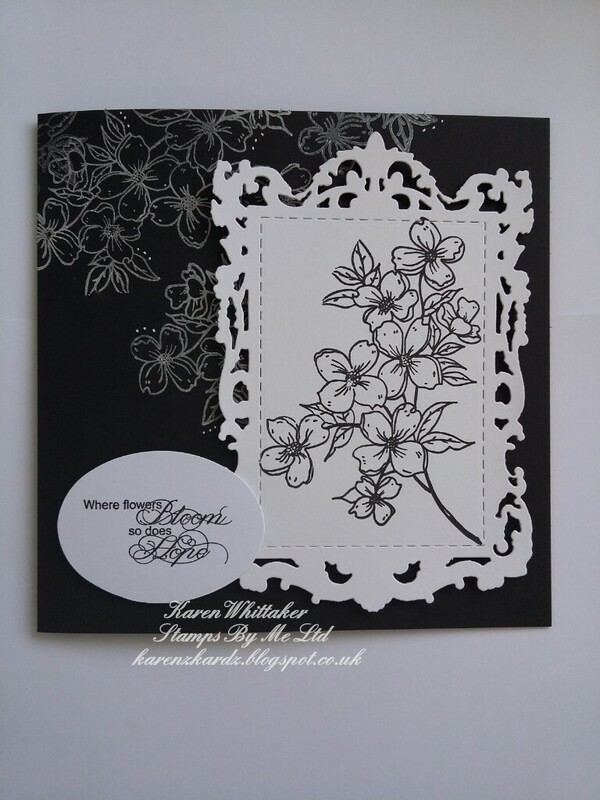 Very simple but beautiful designs using these beautiful products. 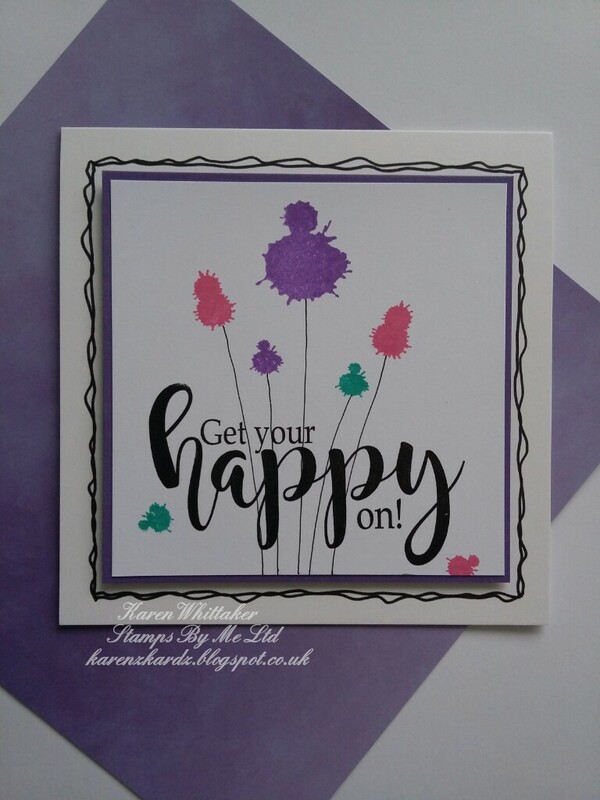 Hope you're all well. Been up to much today? I used the panel as a guide then stamped part of the Butterfly Corner directly on to the card blank, so it would peek out from under the stamped panel, once it was adhered. 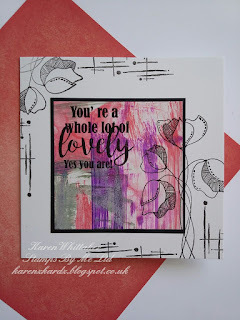 How are we all this week? Where has the time flown. 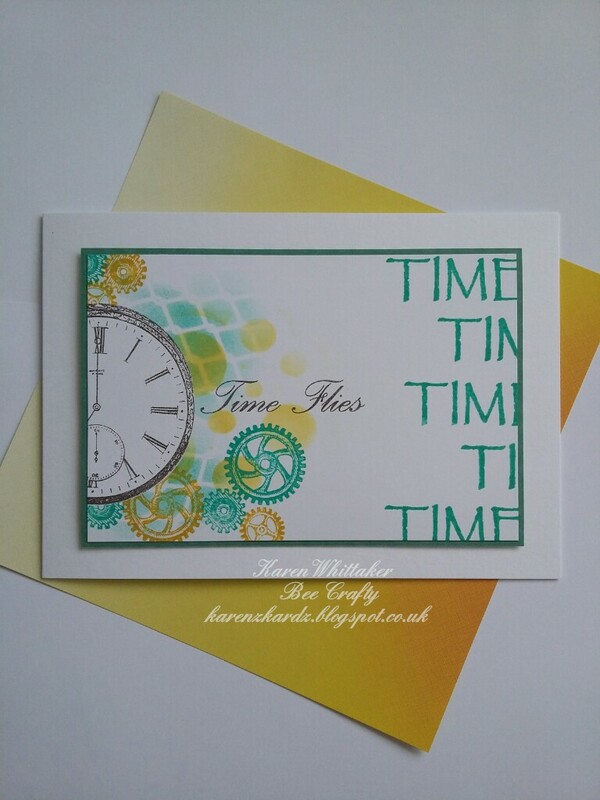 Half way through the summer holidays already!! 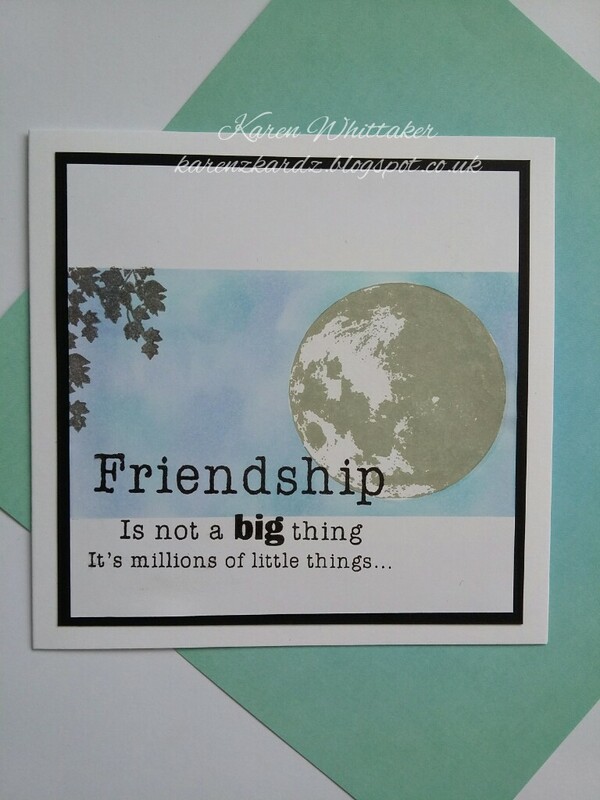 Stamp the Moon in Iced Spruce DO. Monday is here again..how fast did that weekend go! 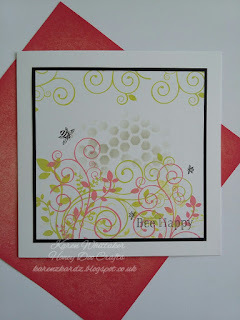 I stamped the girl 3 times. 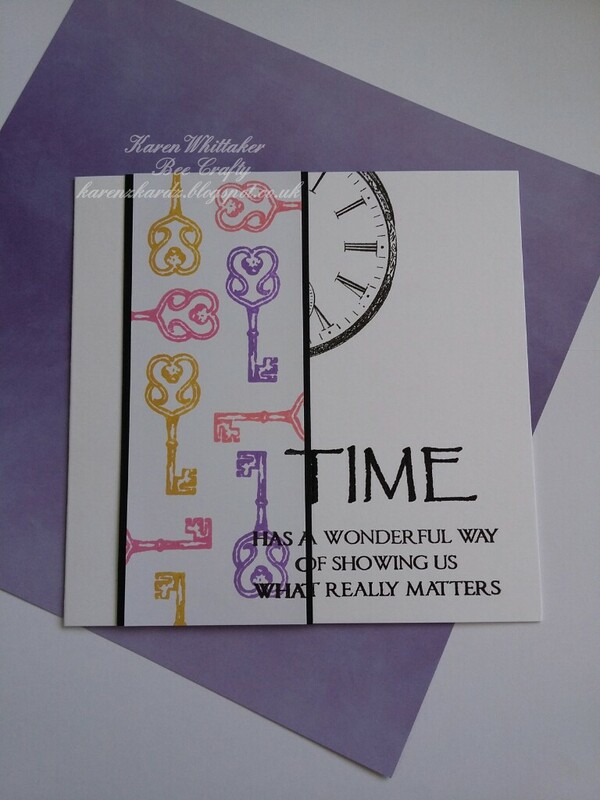 Once on white card, once on yellow paper and once on the purple striped paper. 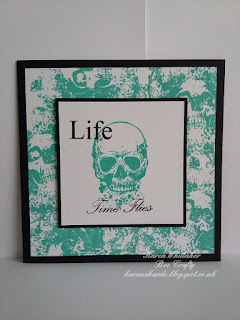 The weekend is here again..where did that week go! 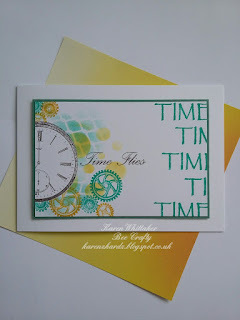 Second week of my summer holidays already over... slow down please! 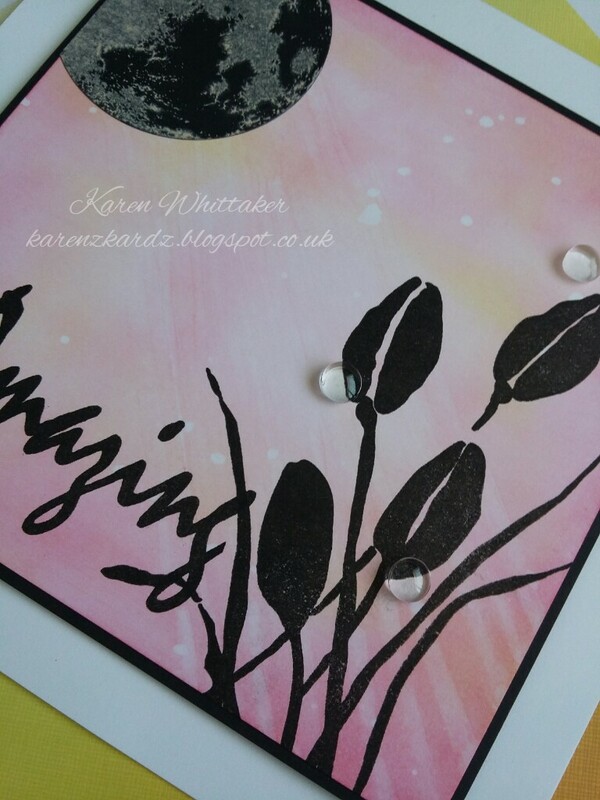 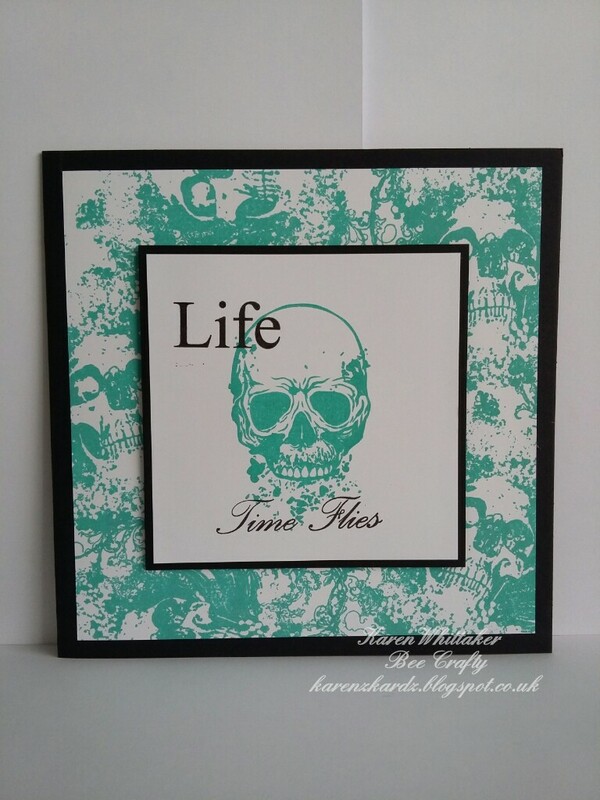 To begin I used the two dies from the Loving Wishes die set, to create a white tag frame. 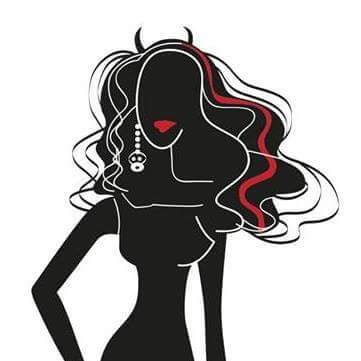 How is everyone? 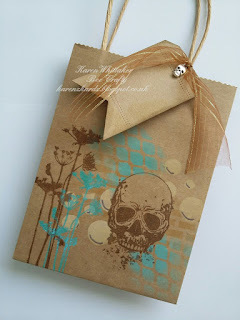 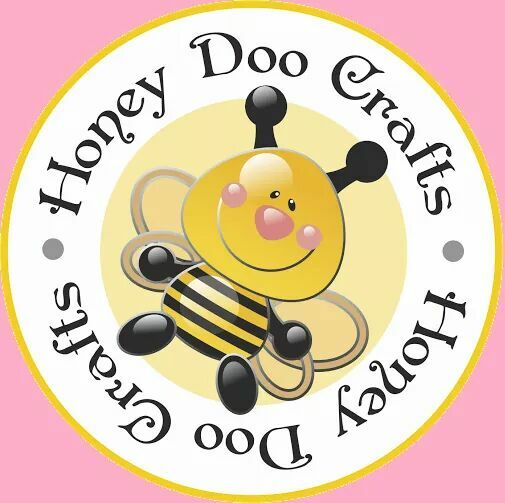 Do we have a crafty day planned? 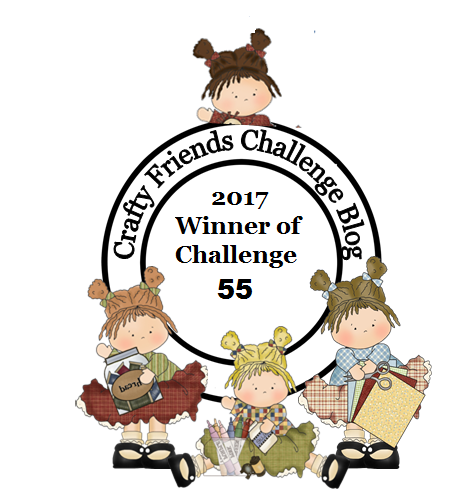 I'd love you to leave me some comments, I do read them all.